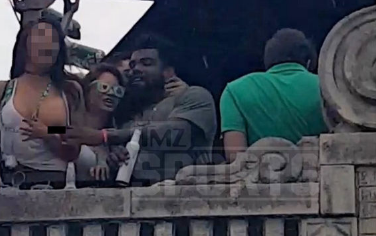 I guess Ezekiel Elliott really takes his eating mantra to heart, because he went full no chill mode at this St. Patrick's Day parade. The Dallas Cowboys star running back was seen pulling down a woman's top, exposing her breasts for everyone to see. Elliott's rep says it was all in good fun, but something like this could turn into lawsuits, suspensions or something even more serious.